I can’t tell you how many requests I’ve had for a full story about our nine-year-old Chocolate Lab, Webster! Ask any of our friends—Webster sits on a pedestal. We literally take him everywhere and truly consider him one of our children. Before having kids so many people warned us that “Once you have children Webster will be just a dog,” and honestly that has never happened. If anything we baby him more since having kids because he is such a gentle soul. Charlie and Jack adore him, he kind of likes them and life is so much sweeter because of him. Dave and I started dating in September of 2009 and in November, Dave found an ad for chocolate lab puppies in the Chicago Tribune (Dave grew up with labs and had always wanted his own). They were $500 and being held at a home about an hour west of the city. He decided that he was going to drive out there with one of his buddies while I was at work. I remember asking him if he was reallllly going to get a puppy and his response was “Only if it is love at first sight.” 4 hours later I still hadn’t heard from him so I sent a text saying “What’s going on? !” and his response was “It’s love.” Webster is from HillView Kennels in Birchwood, Wisconsin. So all of a sudden this little brown ball was added to our relationship and for six years we were a little trio. Webster has been our baby since day one. He has always been this kind spirited, old man with the most loving temperament. He loves to be outside, loves to wrestle, loves to play catch, loves to swim, loves to EAT and loves to sleep. Our days before kids consisted of lots of long walks, travels just the three of us and a lot more cuddles. Both of these photos were taken the first week we were home with Charlie. Honestly, Webster’s transition to kids was probably a little tough. However, Webster’s transition to anything isn’t always easy. He is such a creature of comfort and for sure has some issues with doggie anxiety. He is a gentle giant and definitely seemed to feel some sort of sadness when our attention was divided. We literally went on 3-mile walks, every day, rain or shine for almost six years—reality hit and that didn’t happen as often as we would have liked for a good six months. But he was, of course, the most loyal, loving friend. He sort of avoided Charlie and just wanted to be with us, or would hide in our bed and just choose to lay low. He definitely kept to himself when we first transitioned to life with kids! I think as I found my confidence as a mom, I was way more capable of handling the duties of both of my kids. We got outside more and life was pretty much back to normal! Webster was six when Charlie was born and although he still sort of keeps to himself most days and would prefer to go on long walks with just Dave and me—he is so sweet and gentle with our boys. A few random facts about Webster: he LOVES to swim—he would swim all day, he lives for breakfast in the morning, is obsessed with his blue squeaky ball, loves to hear the words “Webster do you want to go to the park?,” his ability to transform a pillow into a headrest is pretty unbelievable, he loves to sleep in between Dad’s legs in bed and sit on our front steps and watch the world go by. When Dave and I decided to buy a house the first person we were so happy for was Webster. When we lived in the city we were on the third floor of a walk up and we could start to see it become harder for him. We were so excited to give him a yard! Then we welcomed Jack and his world was slightly rocked once again except that Webster and Jack are buddies. Charlie is a little hyperactive and Jack and Webster were kind of born with the same old soul. They have a special little bond. This year Webster will be 10! I can’t promise the rest of his years will be stress-free. Dave and I always laugh that Webster probably looks around and thinks “Whyyyy is this my life now?” haha. We personally do our best to prioritize him as much as we can (for example, yesterday I left my phone at home and took him on an hour-long walk, just us). Maybe it’s a mental thing that only crazy pet owners understand but I truly feel that those moments of one on one time are just as important for him as they are for Charlie and Jack. Webster, my eyes well with tears just thinking about the day when you won’t be with us. It’s clear that the only thing that brings you pure joy is your dad, then maybe me and food. You are the most loyal, loving dog in the whole world and you’ll forever be my first baby. The hardest thing about being a pet owner is that they don’t live as long as us. Thank you for loving us no matter what chaos we bring through the doors. We love you forever and ever. I just want to note: for those of you who fear the day when your fur baby isn’t the only baby. Your relationship only has to change if you let it! Sure we had moments where Webster drove me nuts and was in the way but those instances were nothing compared to the ones where he laid by my side as I cried, woke up with me during night feedings when I felt alone and always greeted me with a wagging tail. Best friends through and through. My family had a chocolate lab growing up too and they are truly the sweetest and most amazing dogs ever! His name was Buckley and he and Webster seem to be very similar – gentle souls. Thanks for sharing this! Welp, this just made me tear up at work. He is such a cutie! Dogs are the absolute best and truly a part of the family. We had a Yorkshire terrier that I received as a Valentine’s Day gift from my parents when I was in 8th grade. She just passed away a little over a year ago and I miss her like crazy! A special spot in my heart will always be hers. I teared up reading this and feel the same way about my girls! Webster seems like such a sweet guy and I am glad he still enjoys long walks and lot of play time. Great post, he is so sweet. This makes me feel so much better! I am truly nervous to add a baby because our sheepadoodle Birdie is our baby and everyone keeps saying she won’t be anymore. We want her to live her best life! We do understand at the beginning it will be a challenge but I can’t imagine having a family without her, she is family. If they remain a priority to you then you will have no issue! I promise!! This is so sweet, and now I’m sobbing! 😭 Aren’t dogs the best? Webster is such a sweetie!! I’m currently going through IVF, and my lab mix is ALWAYS right by my side as I’m taking my meds and giving myself shots. She’s such a comfort and looks at me like, “you can do it, mom.” I mean, UGH. My heart breaks knowing their time with us is so much shorter than it should be. Sending you all lots of love – and tennis balls for Webster! Awh I love this! The bond is seriously unlike anything else. As a fellow crazy pet owner, I loved reading this!!! Such a heartfelt tribute to your first baby – as a dog mom, I truly feel like my dog is my first child and it’s so incredibly hard to know that he won’t be a part of our lives forever. Webster seems like such a cutie! I LOVE this! We are unbelievably obsessed with our dog, and I refuse to believe that he’ll just become “a dog” when a baby comes around. We are settling down in Chicago and these pics made me so excited for lake walks with our dog & future babe! Also – Webster is the mostest HANDSOMEST boy! This is the sweetest. We have a female golden retriever, Kate, and she is my Webster. She prefers her dad if she has a choice, but I’m a very close second. She is by my side all day, every day just buffering the chaos. Fur babies are the best. Oh my GOODNESS such sweetness! I had an old golden retriever for a lot of years and he was the light of my life — now I’ve got two puppies and I miss having an old pup! This was such a joy to read! We have a persnickety cat and are due with our first baby in a couple weeks. I love your perspective. It will be a transition for sure, but I feel buoyed after reading this that everyone will settle into our new routine. I’ll be honest, Liz – I don’t love dogs. But, if I did have a dog, I’d want one just like Webster. WHY AM I CRYING OMG. Love your fam. Beautiful story, Liz! I’m crying thinking about my first baby (our silver lab named Jax). He’s just now one but he is the light of our lives and brings joy to our home. What a blessing dogs are to us! This made me cry! Our sweet golden, Sadie, was only one when our daughter was born. Enter a colicky baby and a stressed mom, and poor Sadie had a tough year. She’s totally our first baby and I probably worry more about her than our daughter at times! Totally felt all the feels with this post! Aw my golden retriever is Sadie! She turns 1 in a month! This is the most heartfelt post! Thank you so much for sharing your beautiful life, including Webster, with us! You made me cry too!! Such a good doggy mama. We have an 11 year old pitty mix who is the love of our lives. Ware having a baby girl in June and I think she will be doing lots of hiding too. Absolutely loved this post! All of my mom friends who have dogs always say that I won’t love or pay attention to my almost 10 year old Brittany Spaniel, Lilly, as much once I have human kids. Thank you for proving that you can still love and cherish your furbaby even with furless babies around! Welp. I just teared up! Sweet sweet post! Mic about to have my first child – a boy – and we’ve been really worried about how it will change our relationship with our 2 year old adopted dog, Milo. He’s literally our first child! So glad to hear it doesn’t have to change after kids. What a sweet soul Webster seems to be! I’m a huge dog lover and my two babies mean the world to me. Me and my husband don’t have kids yet, but sometimes I wonder how I will even love a child more than these dogs! Ha! This is th me best! Exactly how My husband and I feel about our dog, Lily. She sounds the same as Webster and I love my one on one time with her- just as important as my one on one time with my daughter. Thanks so much for sharing! This is everything! I love that you shared this so so much! It is so similar to my dog Jax and our family. Brought tears to my eyes. “Only thing that brings you pure joy is your dad, then maybe me and food” this is so perfect! Totally Jax! Thanks for sharing. Love this and your love for Webster! This made my eyes fill with tears, the sentiments are so sweet and genuine and we totally feel so similarly about our pup and our baby boy, Jackson too. we lost our older dog right before we found out we were pregnant, so it was the hardest time yet most joyful time too. Dogs just make everything brighter, fuller, and for sure filled with fun. Love reading your blog and following along on insta stories! So sweet!🐾 I was wondering if you could share the pretty green paint color for your door. I feel like I wrote this about my own fur baby 😭😭 I worry so much about him when we have our human baby in April, and this made me feel much better, thank you for sharing!! One of my favorite posts yet!! And I’m also crying haha I totally know what you mean about the one on one time. I love being able to take my dogs on a walk, just me and them without the kids. Crazy pet owners or not, it’s good for all of our souls! We have two labs and their world was totally rocked when we welcomed our first “human baby” a year ago. This post made my heart swell, and was such a good reminder to take some quality time out with our first babies! Yes!!! We don’t have kids yet but I love hearing you say Webster is still a big part of your family. We love our golden Charlie and he’s been so good to us while we try for kids. Webster seems like hes just the sweetest!! 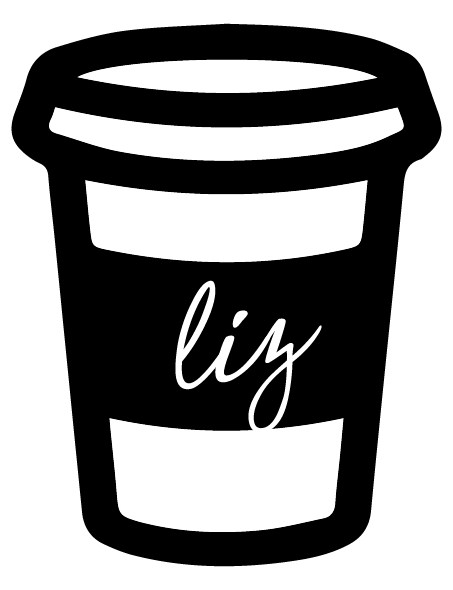 and I’m crying at my desk… Sweetest post Liz! Totally relate! I grew up with labs and now have a french bulldog who definitely feels like our first child. This is such a beautiful love letter to Webster. He’s one lucky pup! This is such a sweet post! Insert heart eye emoji face!!! We have 2 cavalier king Charles spaniels who were our children before our human child came and we are still obsessed with them. It has definitely been a transition for them but I can’t imagine life any other way. Its funny how having a toddler has brought out the puppy side of one of our dogs again! It makes me so sad to think some of our friends have changed their relationship with their dogs and is something that is so hard for me to understand. I’m glad to know there are others out there who feel the same as I do! ugh! so teary reading this!! absolutely love this post <3 one of my favorites!! Thank you! I hate when people say “when you have kids…” because, no. My husband’s childhood Golden passed away last month (he was 15) and it was the most heartbreaking loss. The neighbors got his parent’s a picture frame that says “thanks for everything, I had a great time.” And I literally can’t say those words out loud without BAWLING. Tearing up as my best friend growing up was a chocolate lab that looks like Webster. Also, staring at my fur baby (retriever) determined to take him out in -25 celsius for at least 5 min to be a better mom! Even though he just ripped open a bag of garbage to eat two leftover pizza slices. This one made me tear up! So sweet! Sweet Webster! I have a 15 month old golden retriever and he is the baby right now. We don’t have kids yet, but will start trying in the near future. This post is so sweet. Thank you for shedding light on and sharing your journey with us. Fur babies are truly members of the family! awe they’re just the best. Pure, unconditional love. that was so heartfelt and sweet to read! everyone needs a Webster! Love this. My lab , Hailey is nine also. I love her so much. She swims at daycare. She loves her daddy and her brother (he is crazy) and she loves me too. I respect you so much for working through the transitions. Pets are our life. My fur baby is a pug named Butters and I can’t imagine what he will be like with kids one day. Thanks for sharing this post! This made me tear up! <3 Webster!! first time comment-er here: i am most terrified to one day have kids because of the nighttime issues. i love sleep. but my dog sleeps literally stuck to my side every single night. just knowing that when that day comes, she will be with me, gives me so much comfort already. it really is something that only pet owners can understand, that love and loyalty a pet can bring to you. they are so special! Just teared up! Your doggy mom to real mom transition sounds a lot like mine! Thankful for a precious fur baby that has been so accepting and gentle with our Gia girl! I’m sobbing ❤️Our sweet boy…. Couldn’t help myself and had to leave a quick post. My Yorkie Madison—who was 16 years old—was put down last week. It was the second hardest thing I have ever done as an adult…but having him and babying him and spoiling him and giving him the best life I could is also what makes me take a second and feel genuinely happy (since grieving his absence from the unconditional presence he lit my life up with). Give your Webster as many snuggles as you can! Oh my gosh Madison!!! Miss you Caitlin!!! Oh my gosh, our Fox Red lab is from the same breeder! She’s our 5 year old 1st child. We feel the exact same way. I went through so many emotions bringing our 1st human baby home from the hospital and would sit here and cry feeling so terrible I wasn’t giving her the attention she always received from us. It’s still a transition but she is so good with our 20 month old son and he loves her to pieces. I hope she does well when the 2nd baby arrives in June. This was such a great story, thank you for sharing. Beautiful dog and a gentle sole. 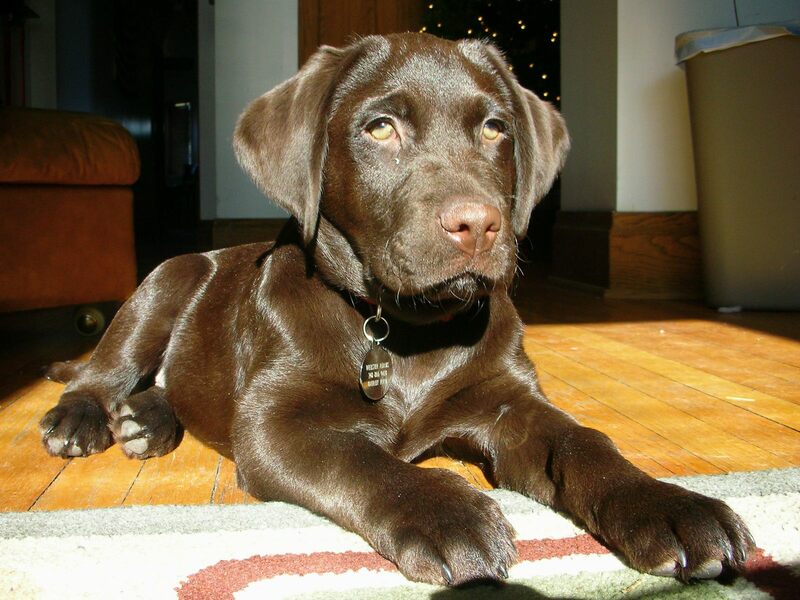 He puppy fur coat is such a gorgeous, glossy brown. Yes! Just the sweetest thing! We have a chocolate and a yellow lab and they are our children through and through. I love hearing others who continue to prioritize their pets after they have human kids 😉 Our are both 3, and it seems to get better with each passing year. I never felt a strong desire to have kids (so chose not to) but I’ve ALWAYS known I wanted dogs. This is so spot on. I’ve been hearing those same comments – “after a baby comes, he’ll just be ‘a dog’” – and I’ve cried at the thought of it. It’s comforting to know, from a true dog lover, that this does not have to be the case. Also, the thought of ever being without our (fur) baby…I can’t. My heart. I am in tears – from love and knowing how it feels to love a dog like this ♥️ They’re the most wonderful creatures and just love us unconditionally. Oh my, this is the sweetest. We also have a chocolate lab, who was just a little over one year old when our twins were born. She handled it like a champ and is the sweetest, most gentle big baby. I always love seeing your posts about Webster and this post gave me all the feels. Thanks for sharing! Such an amazing post! We have a golden retriever, Butter, who we love more than anything. We are expecting our first baby, a boy, in May and this post made me cry of happiness and feel so much better about the transition. Thanks so much for sharing!